If your upcoming birthday places you in the next higher age band, your premium can increase by 20-60%. You can save money by departing earlier than planned, prior to your birthday. Even if you purchase a longer trip, your travel insurance premium may be lower, because you can now use a less costly age band. To initiate the claims process, please contact Medipac Assist at 1-800-813-9374. One of our customer service representatives will assist you from the initial time of your claim process to the final settlement. During the claim process you will need to complete certain claim forms specific to your home province. You can download these forms or Medipac can mail you a Claim Kit. How will my claim be handled? Within 10 days of reporting your travel insurance claim you will be mailed a Claim Kit. The package will include everything necessary to submit your claim, including instructions and all necessary forms. These Claim Forms must be returned to our office within 30 days from the date of your claim. Medipac Assist will require completed Claim Forms, an Authorization and Release form, original (keep copies for yourself) invoices and/or receipts and the payment of your deductible, if any is required. If you are claiming under your Annual Add-on Plan, proof of your departure date is needed. Proof can be in the form of a stamped passport or a duty free receipt from a border crossing. Why are original bills important? The Canadian government will only accept original bills for consideration for payment of a travel insurance claim. Medipac International and your provincial government also require the original bills to restrict multiple submission and fraud. What if my Claim is under the Deductible? Once we have received your original bills, Claim Forms and proof of payment(s), we will submit these to your provincial GHIP for consideration of payment for Ontario residents. If payment has been approved, Medipac will advise GHIP to reimburse you directly. Residents of all other provinces are advised to submit their required information to their provincial healthcare provider directly. Medipac Assist will only submit required information for Ontario residents, as we are registered agents with the Ontario Health Insurance Plan. Submit all original bills, proof of payment and Claim Forms to Medipac for consideration of reimbursement. Once all the required information is received, an adjuster will review your claim for reimbursement. Ontario residents may submit their original bill, proof of payment and claims to Medipac. We will then forward the information to GHIP for consideration of payment. All other residents must submit their claim directly to their Provincial Healthcare provider. How long do I have to submit my Claim? Claim forms must be returned to our office within 30 days of your claims for consideration. However, you have up to 12 months to submit any additional bills or receipts towards your travel medical insurance claim. Quebec and British Columbia Residents must submit their Claim Forms within 21 days of receipt of the Claims Kit to avoid delays in processing the claim. If you have returned your documentation with information missing, Medipac Assist will contact you or the provider directly to request the required documentation. In addition, we will also review non-original bills. If we receive a bill that we are unable to process, we will contact the facility and request the original bills. You will then be mailed a letter advising that Medipac Assist has formally requested the additional bills from the provider/facility. Medipac Assist will continually check the status of your claim until it has been resolved. If you have any questions or concerns with regard to your claim, you may contact a travel insurance claims specialist at 1-888-311-4761 or 416-441-7073 from Monday to Friday, between 9:00 a.m. and 5:00 p.m. EST. Medipac Assist has an efficient and friendly claims service that will allow you to get on with your plans. In just a few clicks! Get a quick quote on any of our travel insurance plans in just a few minutes. Our Guide includes tips about travel insurance plans and the industry. Get a detailed quote, complete the online application and buy. 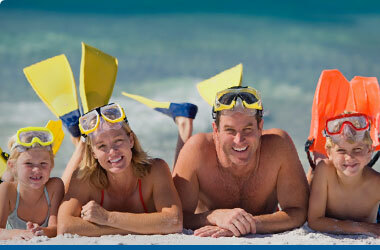 Medipac Travel Insurance is underwritten by Old Republic Insurance Company of Canada.